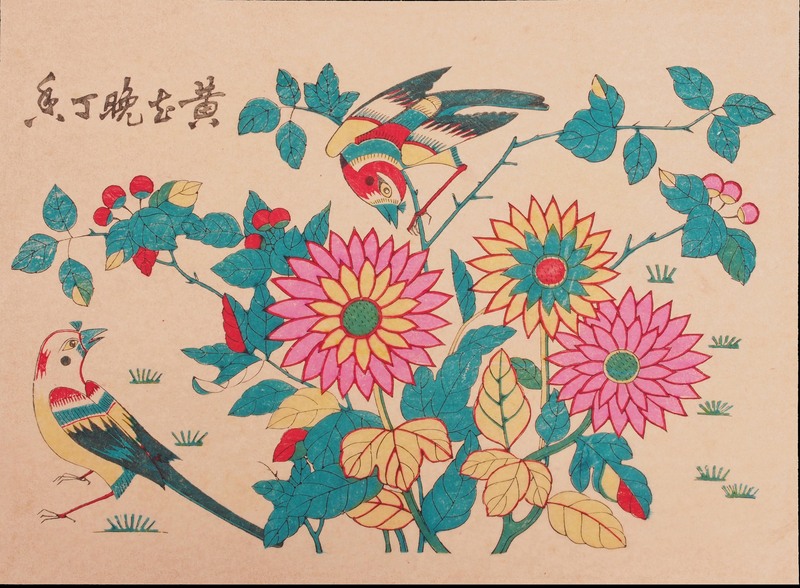 This wood block print is part of a set of 4 on the theme of “four seasons flower with birds”. The 4 seasons flowers, as its name described, depicted typical flowers of the season, a wish for the 4 seasons to be filled with life, beauty and growth. This particular print features the clove (the small red flowers on the two sides) and marigold in the front. Click here to see other craft with the 4 season them. Today you might have heard of Li Kai Shing or Jack Ma but first wealthiest man recorded in China history is Shen Wan San of the Ming dynasty. It is believed that his wealth has came from a treasure tray. One of the stories go like this; one day fisherman Shen got a large golden fish, the fish plead for its life. 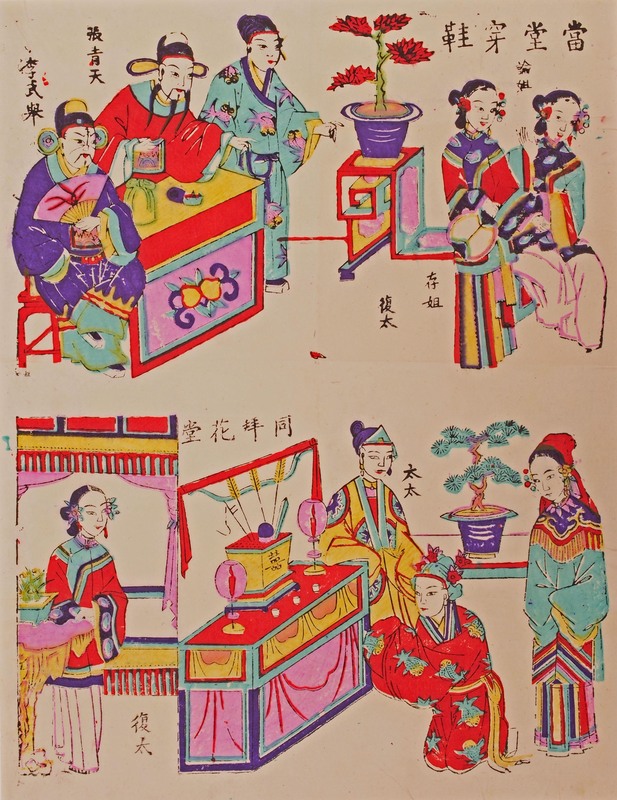 Shen let it goes and since then he had great harvest on every net and not only that, he netted a magic tray. One day, he accidentally dropped his ring inside the tray, when he tried to fish it out that came not one but numerous identical rings. Realizing that this is a magic tray, Shen accumulated a lot of wealth but instead of using it all on himself, he contributed it to improving his village. Years later, the embankment of the Yangtze River collapsed causing flooding to nearby town and villages. The emperor offered award the people who can stopped the flooding with a high position in the court, so Shen took the tray and went to see the emperor with the condition that the tray is to be returned after the problem is fixed. With the soil the tray generated, the embankment was fixed instantly, the happy Shen went to collect his tray. However, by now the emperor has seen the power of the tray, he had Shan arrested on the charge that all treasures belonged to the emperor and had Shan hanged for keeping the magic tray to himself. 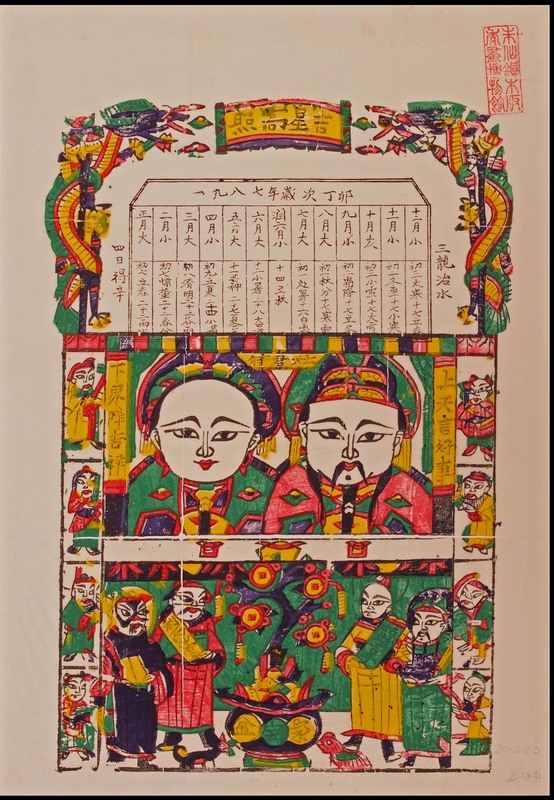 This pair of Door Gods are Qin Qiong (left) and Wei Chi Gong (right). Do you know how this famous pair got to become the Door Gods? 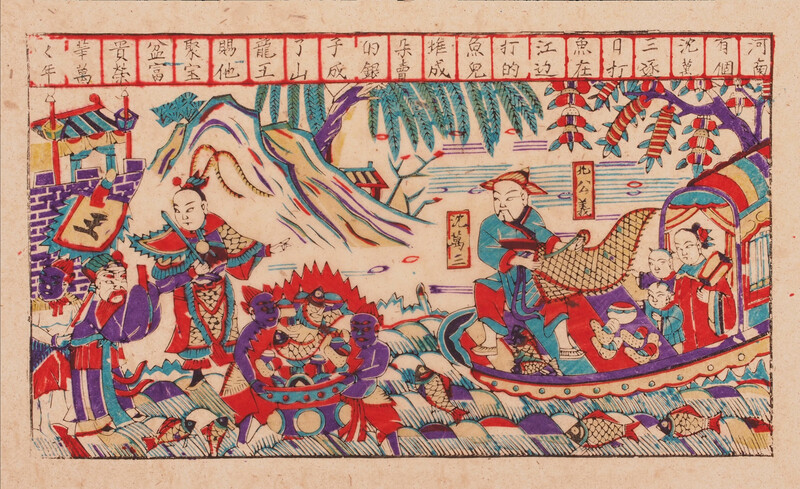 Here is how the story goes; one fine day during the Tang dynasty an old dragon made a bet with a fortune teller and for this he violated the law of the heaven. 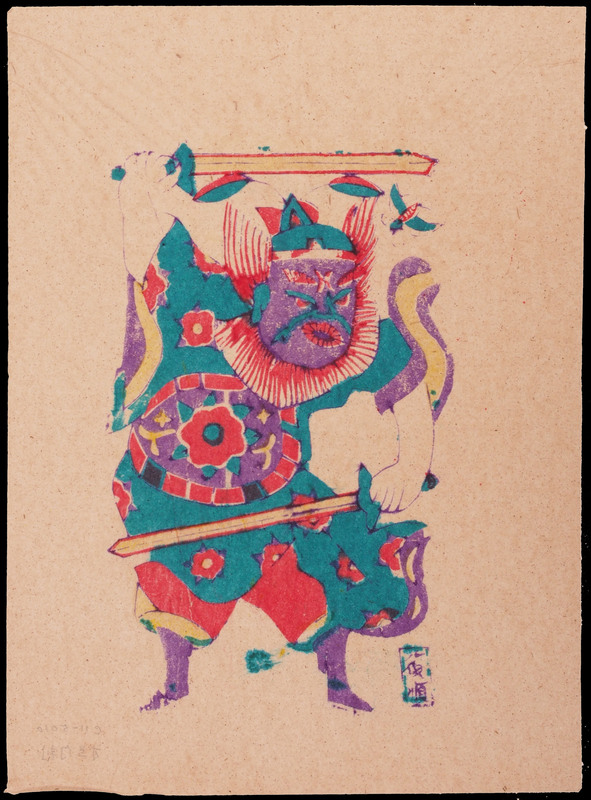 As a punishment ,the supreme god Jade Emperor ordered Wei Zheng to have it killed at noon the next day. 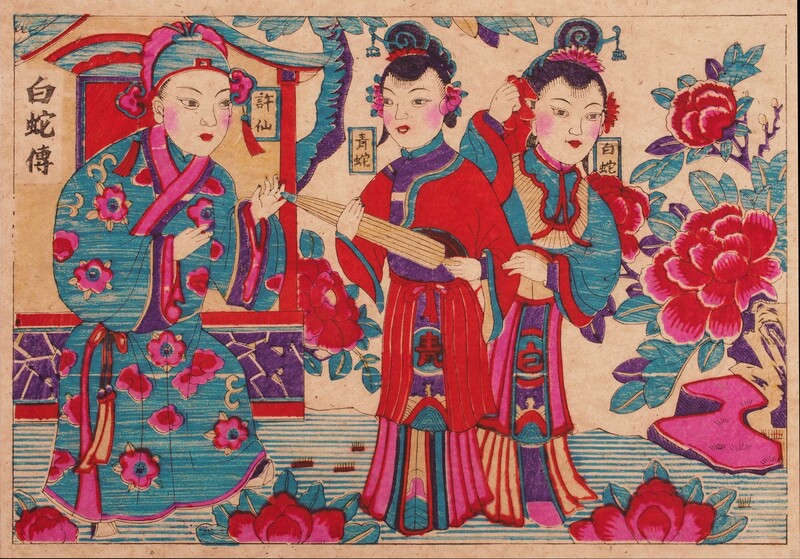 Hearing the news, the old dragon went to see the Tang Emperor and begged him to help him, the Tang Emperor agreed. 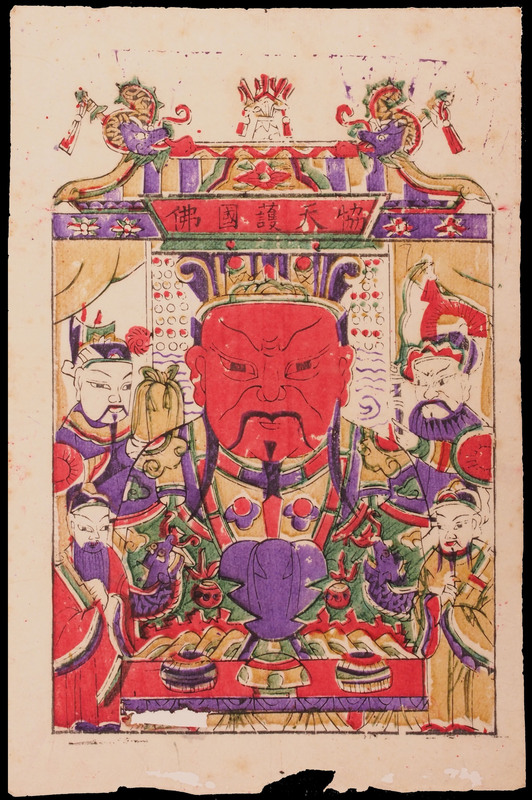 The next day the Tang Emperor summon Wei Zheng to court and asked him to play a game of Chinese chess with him, hoping that if the game is long enough he will miss the noon execution. During the long game Wei Zheng dosed off and in his dream he went to kill the dragon. Not knowing the whole story, the ghost of the dragon felt bitter that the Tang Emperor did not keep his words and came to haunt the court everyday. Wei Zheng found out and send 2 generals, Qin Qiong and Wei Chi Gong, to guard the gate of the palace and this scared off the dragon. 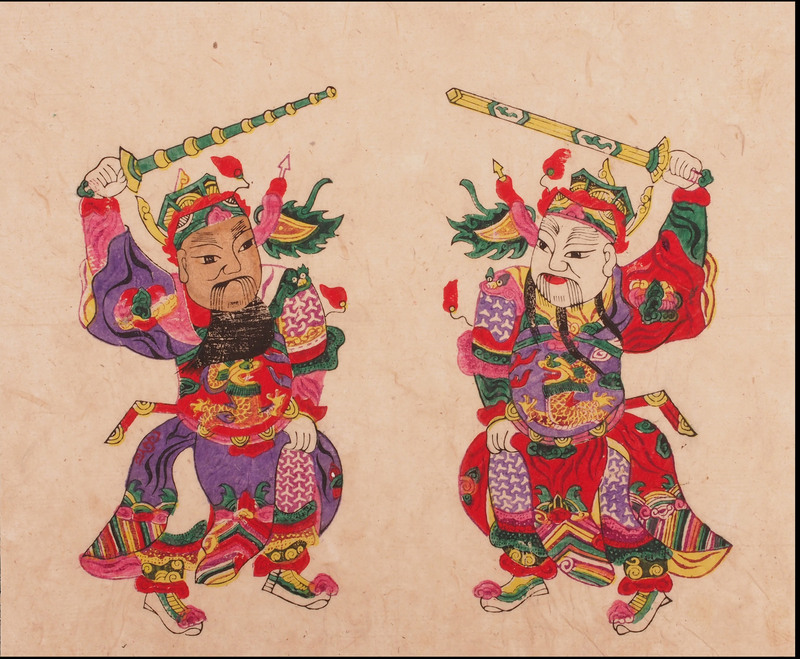 The Tang Emperor felt bad that the 2 generals do not get a break and asked artists to make a painting of them to be put on the doors, and this seems to have the same effects, the rumor spread and now the door gods are all over China. 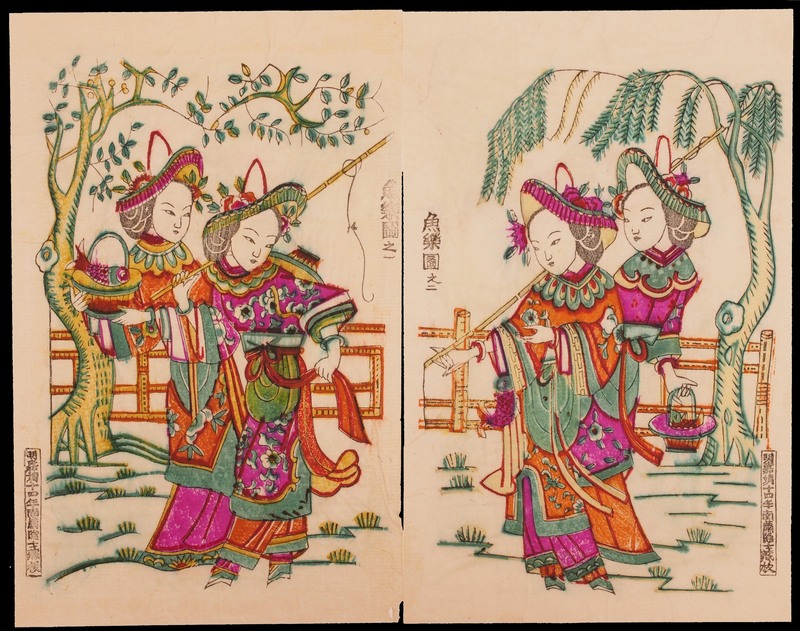 This print is from the Tao Hua Wu school which specializes in book illustration since the Sung dynasty, it has very fine lines and spectrum of colour (each colour would require an additional printing block). 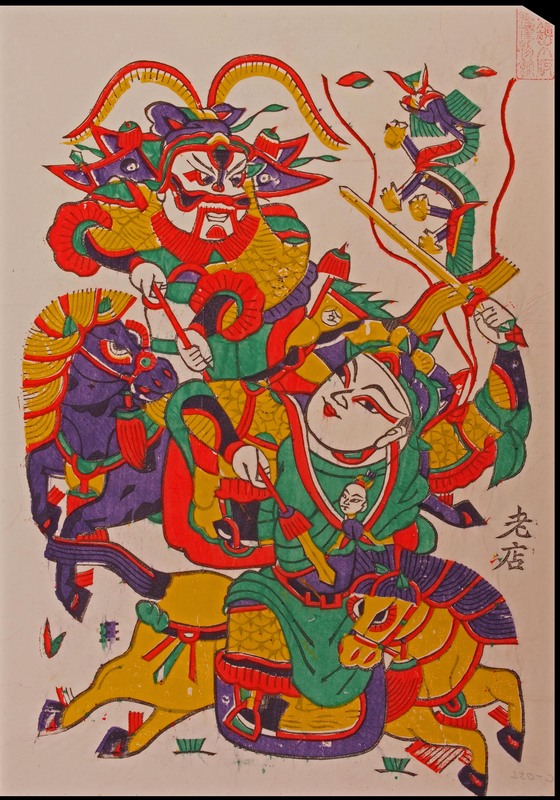 Click here to see another print of the same two character by a different print maker, school of Zhuxian, which are characterized by bolder lines, vivid colours and more dramatic composition.